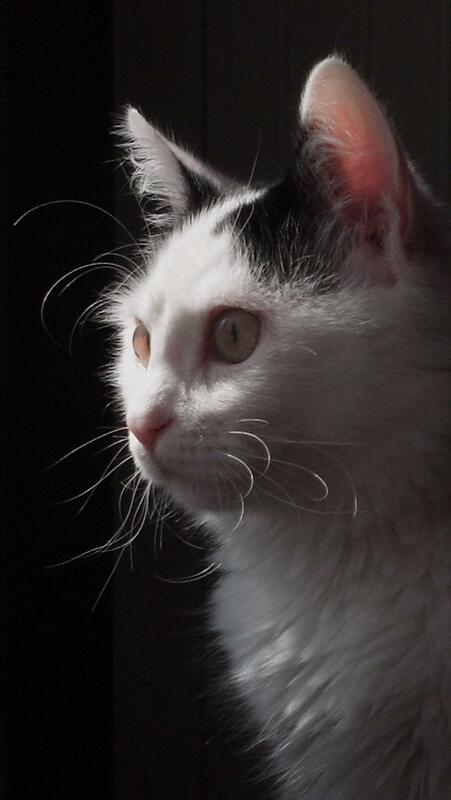 Michigans oldest established Turkish Van Cattery. Owned by Erica and Brad Tadajewski call us about Turkish Van information we love to talk Vans 989-640-3425 call or text. Kittens are raised underfoot and handled daily to ensure the best possible family memebers. 7 week old beauties our kittens are always sweet. Erica is a trust worthy breeder who breeds the cutest kittens I've ever seen!! She is extremely dedicated to her cats. We highly recommend her to everyone who is looking for a beautiful kitten to take to your homes. With so many questions, information we had to ask, Erica was more then happy to answer. We learned about the breed even more. Erica was always very sweet, very nice, we made friends in this such a short time. I know that if i will need help with my kitten she will always be happy to help. We can not thank you enough. We sincerely appreciate all your help and support you provided and all your time you spent with us educating about the breed. Even after purchasing the Kitten we feel comfortable to ask questions, and feel more safe knowing that Erica will still respond and care. If you're thinking about buying a Van Cat from Erica, go ahead because you couldn't ask for a more caring breeder. Anyone looking for a caring breeder that takes care of her kittens and adults, this is the one to buy from. Thank you Erica So much again for everything! If you are looking for the best Turkish Vans available, this is the right place. Erica and Gidget do an amazing job of raising well adjusted kittens. They are friendly, sweet, lovable and highly interactive with the entire family. After the loss of a dear pet, we first adopted Vanna (pictured alone, dark background). 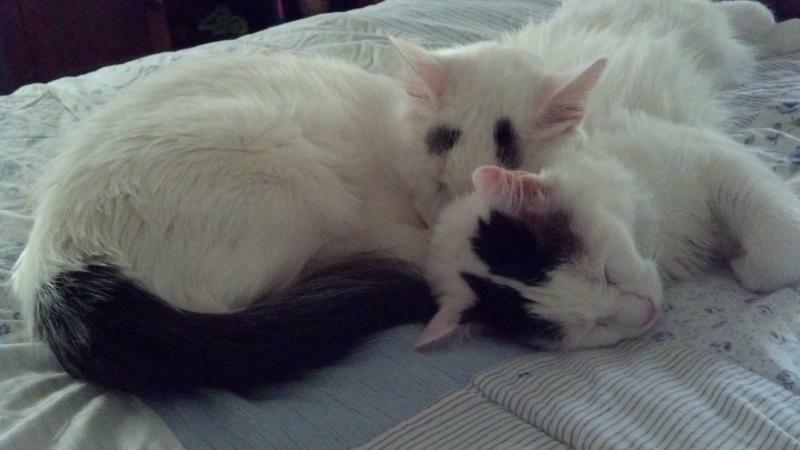 She immediately won all of our hearts, including our 17 year old male Turkish Van. When the opportunity arose to adopt Vanna's littermate brother, Ezra, we were thrilled to have him also join our family (pictured together). They breathe life back into our house and bring endless hours of joy with their "V-antics". We love them dearly and will only consider Halima Cattery for future adoptions. pictures tonight and send them to you. Glad to hear from you! how have you been? how are the cats doing? take care and let me know what you think! This is me with Boo! She is super sweet! She Purred the second she walked out of the cage. She does not mind being held at all. I haven't been able to get her to drink anything yet but will keep at it. 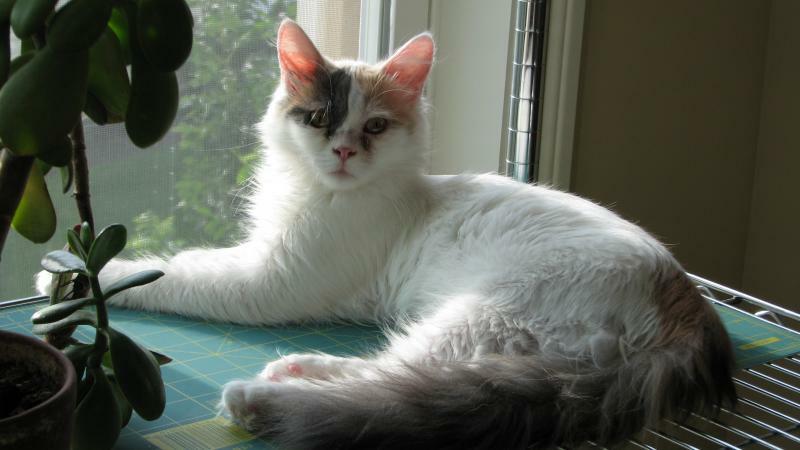 Copyright 2009 Halima Turkish Van Cattery. All rights reserved.